Let’s watch the scene in the movie to see what happens. Behold the transforming power of the grace of God. This must be one of the best illustrations of the grace that God has given to us. The bishop had the right to have to Valjean imprisoned. Justice demanded it. But when the Bishop went against every human instinct for revenge, it transformed Jean Valjean’s life forever. Being offered such grace—when he had never even sought it—tore down all his defenses. He dedicated his life from that point to helping others. Valjean kept the candlesticks always as a reminder of grace. The grace of God is a constant theme in the Bible, and it culminates in the New Testament with the coming of Jesus (John 1:17). The word translated “grace” in the New Testament comes from the Greek word charis, which means “favor, blessing, or kindness.” We can all extend grace to others; but when the word grace is used in connection with God, it takes on a more powerful meaning. Grace is God choosing to bless us rather than curse us as our sin deserves. It is His benevolence to the undeserving. This grace is unique and is God’s gift to us. This week, how will you reflect on this grace? What does this actually mean to you? May you, my brothers and sisters again remember that it is by this grace that our place in heaven is assured. It was freely given to you and nothing can separate us from this. It occurred to me the other day that I had been harbouring some unforgiveness for some time, in fact a long time, actually for over 20 years. I recall an incident with a friend of mine almost three decades ago that ended our friendship abruptly. I’m not sure who was at fault or who was to blame. It was probably me – I started it. I’ve noticed over the years how this unforgiveness, this unwillingness to let go has shaped my thinking about friendships. It’s faulty thinking. Like a short-circuit. Through a series of recent events I now recognize this for what it is. I recognize that I need to forgive, let go, and move on. It’s a gift I need to give to them and myself. Forgiveness is no small thing. It is a brave thing to do. It requires courage, facing fears, feeling the flawed thinking and reaching out. Reaching out to forgive and to ask for forgiveness. With forgiveness comes healing, insight and understanding. This is what I hope and what I’m looking forward to. So today I’m asking for forgiveness from an old friend. I’ll be sending my friend a link to this post. In this act I hope that the cost and waste of time will be no more. This story may be mine. You may see yourself or a friend in this story. 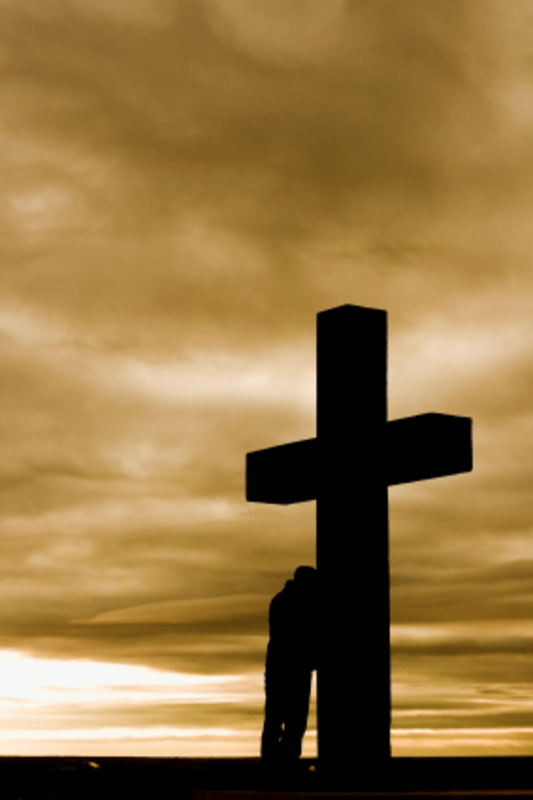 We are all faulty, flawed and forgiven because Jesus paid the price on the cross. 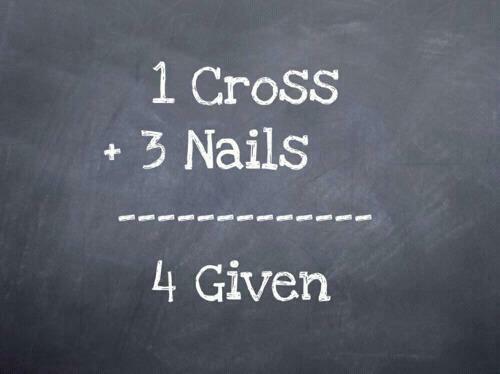 You can do the maths as well as me: 1 Cross + 3 Nails = 4 Given. So what about you? Do you need to forgive, do you need to let go and move on? Here or somewhere this week be real – it may just help someone break free from their faulty and flawed thinking. Will you? And I will turn them into character. And I will change them into hope. And I will answer you – if you listen. Be still for one moment and close your eyes. Empty your mind for just one minute. Do you feel me working in your heart? And I will heal their hurt. And I will ease their trouble. And I will be your answer. I held Your hand today. To heal my rejected heart. To wait for the healing. I forgave you the other day. I felt the years wind back. You were the same yesterday and today. The fresh wound and the old scar became one. Of hope, of love, and of a place to stand.